LSU-Auburn, Ohio State-TCU and Boise State-Oklahoma State are among key games to keep an eye on. Hurricane Florence has caused quite a few audibles on the college football schedule this weekend. Some games were bumped up to as early as Wednesday afternoon. Others have moved up kickoff times to earlier in the day. A number of games have been wiped out entirely. But the Week 3 schedule will continue to be played this weekend where possible, and we could have some sloppy games going on in areas impacted by the storm. But as is the case every week, there are some important games being played that could have a lasting effect on how this season looks at the end of the season. Here are five things to keep a watchful eye on around college football in Week 3. Before you read on, yes, I’m well aware Alabama finished second in the SEC West behind Auburn last year. But that’s not likely to happen again this season. So this weekend’s matchup between Auburn and LSU will likely determine which team will finish second and still have a shot to play in a New Year’s Six bowl game at the end of the season. So the stakes are pretty high. Both Auburn and LSU have gotten off to good starts this season with neutral site wins in Week 1 against ranked power conference opponents. Auburn took down Pac-12 favorite Washington behind strong defense. 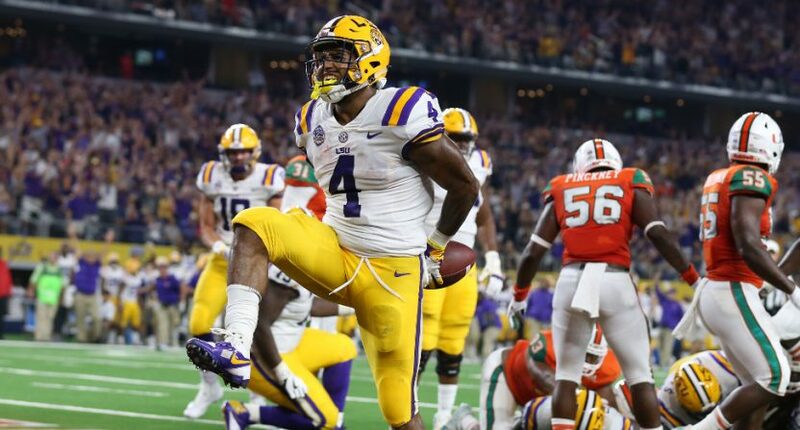 LSU blew away Miami with physical defense and an average offense that took advantage of some opportunities to make it look a little more lopsided than it may have been. But having Joe Burrow step in to provide some stability at quarterback has gone well so far for LSU. This week serves as a bit of an early reality check for both teams. Whichever team comes away with the win will hold the upper-hand in the division and can confirm whether or not we should take them seriously in the playoff discussion (as serious as you want to get after three weeks, that is). There is a part of me that still has some doubts about LSU, but every time I seem to doubt Ed Orgeron and the Tigers, they come out with a win that reminds me that I may be writing about college football instead of coaching it for a reason. Take a look at LSU’s schedule this season, and a win against Miami and Auburn in the first few weeks sets them up to rightfully be on the playoff bubble moving forward. Where Auburn has to play road games against Alabama and Georgia this season, LSU is getting both the Bulldogs and Crimson Tide at home. If LSU beats Auburn on the road two weeks after beating Miami in Arlington and then splits those home games against Alabama and Georgia, we have ourselves quite an interesting resume. Did I mention LSU also gets Mississippi State at home? Let’s see if Orgeron can get LSU to go grab a monster win in Week 3, and then we can have some more fun speculating about what happens next. The Buckeyes are down in Texas this weekend for a game against TCU of the Big 12 in Arlington, Texas. It will be the final game to be served by the suspended Urban Meyer before he makes his season debut on the sidelines next week. 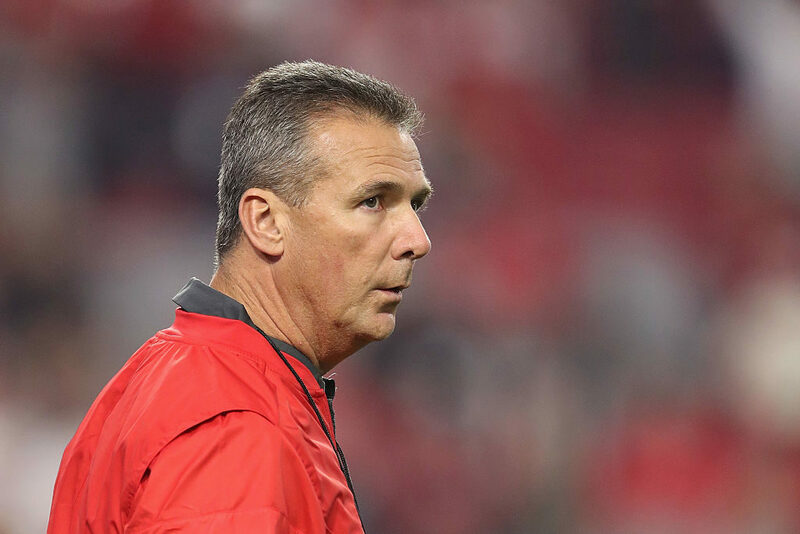 Meyer was placed on administrative leave by Ohio State when it had been suggested he was more aware of the allegations and actions of former assistant coach Zach Smith than he previously let on. In what was a public relations nightmare from the start, the Buckeyes opted to suspended Meyer, who has shown no real contrition or regret for his decisions, rather than cut ties entirely with the iconic head coach. Ohio State was always expected to survive their first three games without Meyer on the sidelines with Ryan Day as the interim head coach. The first two weeks were walks in the park for Ohio State against Oregon State and Rutgers at home. Of the three games without Meyer, this game against TCU was the biggest concern. The game is away from Columbus, but plenty of Ohio State fans will be in Arlington. For the first time, Ohio State is going up against a battle-tested head coach in Gary Patterson. And there is the fact TCU is far superior to either of Ohio State’s previous two opponents. This is easily the best team Ohio State ha played in the early going this season. So can TCU send Ohio State back home with a loss in the final game without Meyer? The odds do not look great. The Buckeyes are a 12.5-point favorite in this one, and it is easy to see why. Ohio State’s roster is stacked on both sides of the football, and the depth alone means TCU won’t be catching any breaks. Dwayne Haskins has thrown for 546 yards and nine touchdowns in the first two games, and he’s been given early rests in each due to sizable blowouts. The Buckeyes attack you on the ground with the combo of J.K. Dobbins and Mike Weber. The defense is where Ohio State puts the game away with the likes of Nick Bosa and Dre’Mont Jones coming at you up front and Jordan Fuller anchoring the secondary. TCU has players that can make things happen, starting with KaVontae Turpin at wide receiver, but TCU’s offense won’t be able to rely on quarterback Shawn Robinson doing everything throwing and running. Sure, TCU has a shot to make something interesting happen. But if either team needs to rely on their talent to make a play, Ohio State has the odds in their favor. Watching the whole Group of Five race has added a new level of fun to the game for me and many others. Knowing programs from the Mountain West and American Athletic Conference and MAC have a shot to grab one reserved spot to a big bowl game at the end of the year raises the level of intrigue for every game for these conference’s top contenders and making a big impression in non-conference play can prove to be the difference in the end. This weekend, Boise State has a chance to separate themselves from UCF and any other Group of Five hopefuls. The Broncos head to Oklahoma State for a matchup with the No. 24 Cowboys. The polls were kind to nudge Oklahoma State into the top 25 for this week, giving Boise State a chance to take down a ranked power conference opponent on their home field, an opportunity few Group of Five programs tend to get. Brace yourself for a potential shootout in this one too, because both programs have been putting up over 55 points per game in the first two weeks, but neither team is allowing more than 15 points per game. Both average over 600 yards of offense with a comparable split between passing and rushing yards. On paper, Boise State is every bit on the same level as Oklahoma State. If Boise State is going to get this signature win though, they will have to do it in the trenches. Boise State’s defensive line weighs in at an average of 269.7 pounds per player, and they are going up against an Oklahoma State offensive line averaging 317.6 pounds per player. That is a sizable advantage in favor of Oklahoma State that could make it difficult for Boise State to create penetration in the backfield and finding way to slow down Oklahoma State running back Justice Hill (a player that probably does not get talked about nearly enough). It’s going to be tough for Boise State to grab this one. If they do, the Group of Five spot in the New Year’s Six will be their’s to lose. The first few weeks in the polls have shown voters collectively unwilling to separate Boise State and UCF, as the two have appeared to be tied at the hip each week. That should change after this weekend, one way or the other. 4. Should Miami be on upset alert at Toledo? A couple of years ago, Miami made an odd road trip to Appalachian State for a regular season game. At the time, I recall suggesting Miami should be careful with that game because I felt the Mountaineers could rise up and bite them at home. That one blew up in my face. After getting stung like I did two years ago, I’m going back to the bee’s nest and poking it with a stick. These two teams played last season in Miami, with the Hurricanes pulling away for a 52-30 win in the fourth quarter. Toledo led by six at halftime and it was a tight game until the end of the third quarter. This year should offer another tough test for Miami against the Rockets. Going on the road to Toledo is bizarre enough for Miami, but credit them for not being afraid to go on the road against one of the top Group of Five contenders not named Boise State or UCF. In fact, the stakes could be incredibly high for Toledo. 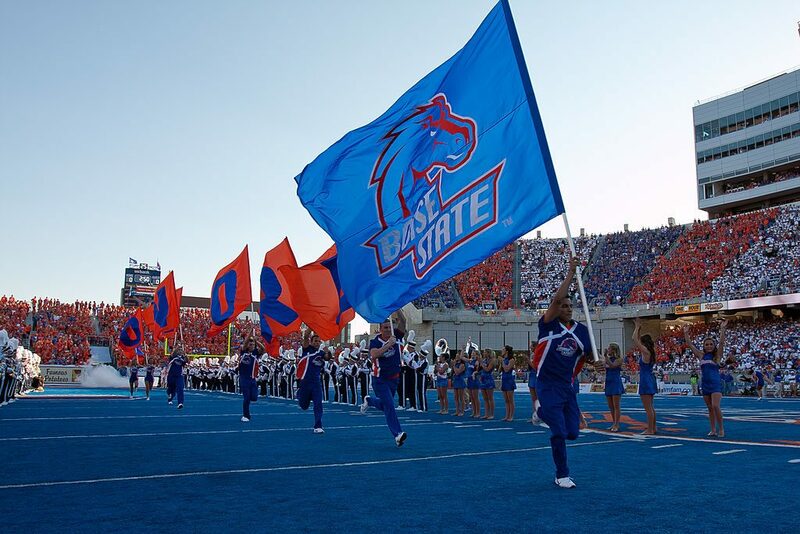 A win against the Hurricanes could thrust them to the top of the Group of Five heap, especially if Boise State suffers a loss at Oklahoma State. Miami got off to a really rough start against LSU in Week 1 and took advantage of an overmatched FCS opponent last week to feel like they got back on track. Toledo is not LSU, but they’re not Savannah State either. Put the Canes on upset alert. They’ll have to sweat a win out at Toledo. One historic power program is going to be down this week with a record of 1-2. Texas hosts USC a year after pushing the Trojans in Los Angeles, and the Longhorns could really use a win. After starting the year with a loss at Maryland and having a less-than-inspiring win against Tulsa last week at home, the concerns are already stirring and Tom Herman is already facing pressure to show something this season. A win against USC, even with the Trojans taking a bit of a step back this season, would certainly ease some of the tension before Texas has to go into Big 12 play. USC is looking to rebound after a tough loss at Stanford last week. In that loss, the holes in this USC team were exposed, beginning with getting freshman quarterback JT Daniels on the right track. The future outlook for Daniels still looks incredibly good, but this could be another tall order for the young quarterback a week after facing Stanford. Texas is still trying to seal an offense with Sam Ehlinger leading the charge. One of these quarterbacks is going to lift his team to an early needed victory, while the other is going to fall back on the excuse of growing pains. Both will be perfectly good excuses too, but that won’t silence critics taking aim at the losing team’s coach afterward.